For more than 40 years, Harbor View Home has been the community where seniors turned to for the best care in New York. For all these years we have never stopped working to earn your trust and approval, and together, we will continue doing so for many more years to come. As our name indicates, we sit majestically overlooking the New York Harbor, in the Sheepshead Bay neighborhood of Brooklyn, NY. Our facility provides both independent and assisted living and has earned the reputation of providing the highest quality care in a most warm and inviting environment. At Harbor View you will be treated like family. Our staff has been together for years and will welcome you in with open arms. Your every need will be tended to with the sensitivity and dignity you deserve. 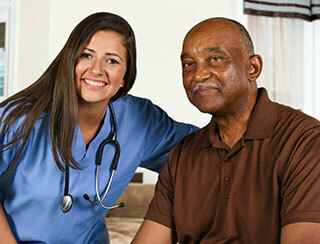 Doctors and nurses are available to make sure that our residents stay healthy and well. We provide a full range of services including medication assistance, bathing and showering, social activities and much more. European chefs will present you a culinary experience that is not only delicious and filling but is also custom designed to meet your dietary needs. Our on-site physical and occupational therapy department is staffed with a team of the most dedicated licensed therapists available. We never settle for “good enough” and our therapists don’t stop until the job is done. The days are just packed at Harbor View!/There is never a dull moment at Harbor View! Our library is always current and our weekly theatre group is sure to provide entertainment and companionship. Enjoy the steady parade of comedians, soloists, musicians, and contemporary artists who grace our theater. Whatever your taste, whatever your interest there is sure to be something for you. The doors of our synagogue and chapel offer a full range of services. Beautician services will make sure you always look your best as your stroll through our patio gardens, relax on our spacious sundeck, or just spend some leisurely time in one of our many social and recreational areas. Come see why so many people are proud to call Harbor View their home. One step inside and you will indeed feel that you are home. See for yourself what makes Harbor View Homes such a warm, caring, family residence.